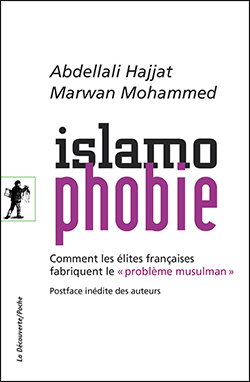 Why is it so difficult to recognize Islamophobia as a racist phenomenon in France? The talk will explore the reasons for that denial and analyze the way the "Muslim problem" has been forged in the public space and the lack of scientific debate in the academic field. Abdellali Hajjat is an Associate Professor of Political Science at the University of Paris Nanterre, and researcher at the Institute for Political Social Sciences. Marwan Mohammed is a Researcher with the CNRS. They co-authored Islamophobia. How the French elites forged the ‘Muslim problem’ in 2016. Other books by Hajjat include a co-edited book Political History of Postcolonial Immigration, France 1920-2005; and The Boundaries of ‘National Identity’: The Injunction to Assimilate in Metropolitan and Colonial France. Mohammed is also the author of La formation des bandes de jeunes : Entre la famille, l’école et la rue; and Communautarisme ? with Julien Talpin in 2018.